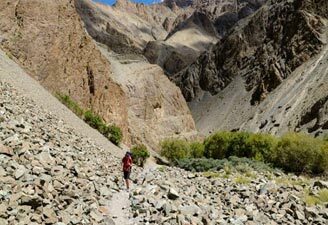 Highlights : This is amongst the most popular treks in Ladakh region that passes through some of the most remote villages and also involves crossing small streams. On trekking to the upper end of Markha Valley, we are rewarded with spectacular views of the stark jagged landscape punctuated with rich green Oasis in the backdrop of snow-capped mountains. The Markha Valley is also along with Hemis falls under Hemis wildlife sanctuary, as during our trek we encounter with unique assemblage of large mammals found in these region such as Ibex, Bharal, Tibetan Argali, and many other species of birds as the area is considered a strong hold for Ladakh's mammals, most species of which are threatened elsewhere in their range. No activity the first day of arrival. 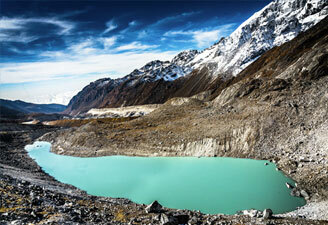 Relax and undergo minimal exertion in order to get acclimatized to rarefied oxygen level in this high-altitude region. Overnight at the hotel in Leh. A guided tour through the ancient bazaar and alleys of Leh town, followed with a visit to Sankar monastery and the Shanti Stupa. Overnight at the hotel in Leh. Early morning, transfer to the trekking point at Spituk to start the trek. Follow the trail up the Zingchan valley, to reach the main Zingchan village where we camp for the night. Start the trek following the Zingchan stream entering the Hemis National Park, leading to Rumbak village. Continue the trail to Yurutse village. Establish the campsite and then explore the surrounding village. Overnight in tented camp at Yurutse. Start the day with a steady climb for an hour to the Ganda-la from where we continue towards Shingo village and finally arrive Skiu. 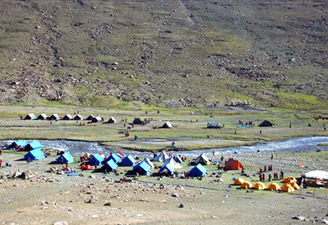 Camp on green pastures, located along the Markha River. Overnight in tented camp at Skiu Village . Trail follows the Markha river and after a pleasant trek passing Sara Village and Chaluk Village reach Markha Village where we camp for the night. 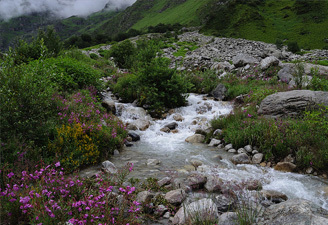 Cross the Markha river to reach the main Markha village, the largest village in the Markha valley. 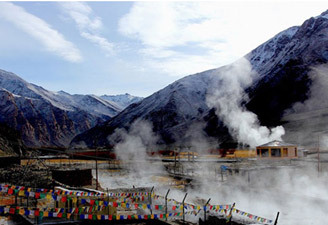 Visit Markha monastery. 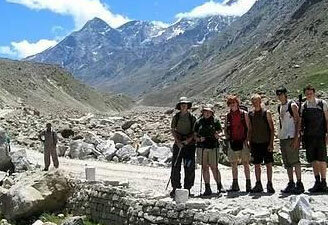 After another 2 1/2 hours trek reach Hankar Village and visit the Hankar monastery and the old ruins of the fort. Overnight in tented Camp at Hankar village. 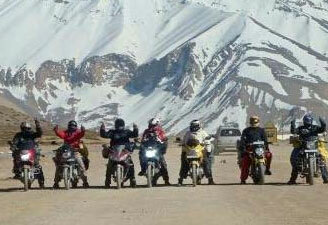 Reach Tchangungtse to get a spectacular view of Zanskar Ranges and Kang Yaze peak (6400 meters). After a short halt, descend to reach the plateau of Nimaling. Overnight in tented camp at Nimaling. 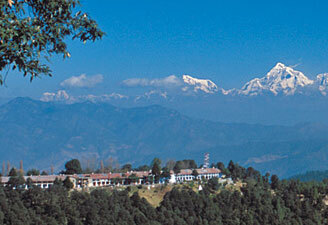 Spend the entire day at Nimaling exploring the surrounding region. Overnight at the tented camp in Nimaling. 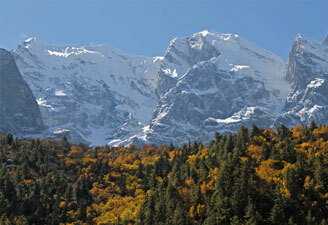 Day 11 - Trek Nimaling - Shang Sumdo (3560 meters) via Kongmaru la (5200mtrs) Average walking time 6 to 7 hours. 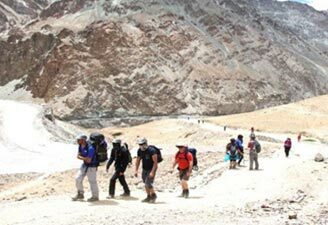 Start with a steep trek to reach the Kongmaru-la pass which has grand views of the Indus to its northeast and Zanskar Ranges to its south. 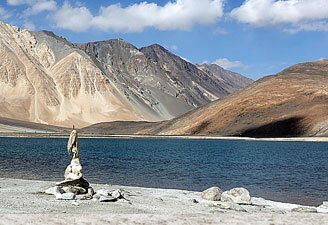 Descend from the pass to Chogdo Village and finally reach Shang Sumdo, from where you will drive to Leh. Overnight at the hotel in Leh. 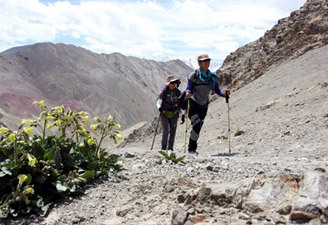 Continue the last day of trek to Hemis. Upon arriving Hemis, visit the Hemis monastery situated in a gorge, after that, we drive back to Leh for overnight stay. Day at leisure to relax after the trek.